You gotta love the sugar cookie. It’s simple, classic and delicious. 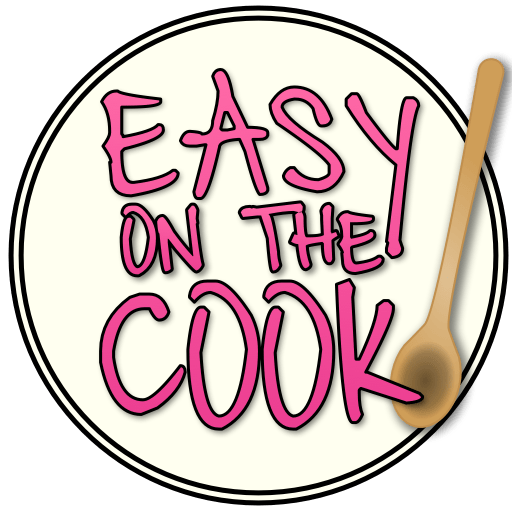 The thing of it is that when it comes to baking, the sugar cookie often gets overlooked, set aside even in favor of a simple “drop by spoonfuls” cookie. I am here to say a sugar cookie doesn’t have to be complicated, and even if you keep it simple, the results can be spectacular! The sugar cookie starts with Home Economics 101. Cream the butter and sugar, then add the eggs and vanilla. All that’s left is the flour, salt and baking powder. Simple as pie! Or even simpler. A helpful hint is to use unsalted butter so you can control the amount of salt. Then form the dough into two disk shapes. This is an old trick I learned from watching Martha Stewart. If you form cookie dough into disk shapes, it chills far faster then if the dough is in a ball and is ready to roll out when you take it out from the fridge. Chill the dough for just over an hour. Be sure to flour the counter surface before putting the dough on the counter. Add a little flour to your rolling pin at well. 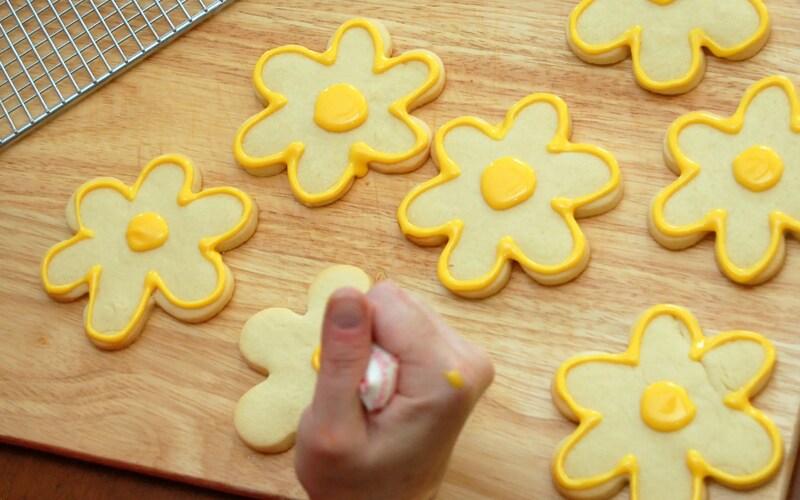 Dip your cookie cutter in flour as well, to prevent sticking. Don’t roll out the dough too thin or it will be difficult to work with. Bake for about 8 minutes. No need to butter or spray the cookie sheet. I usually keep my decorations simple. A nice outline of the cookie usually works well. and if it’s a little messy, that just proves the cookies are homemade! 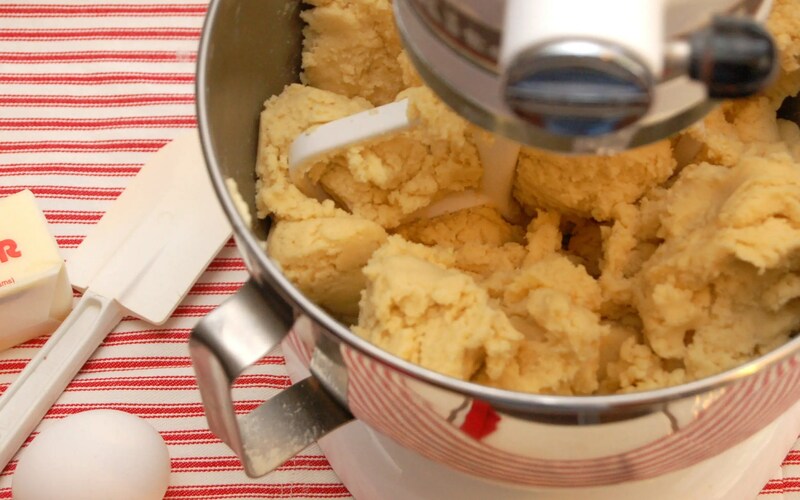 In a large bowl cream butter and sugar together until light and fluffy. Mix in the eggs and combine until well mixed. In a separate bowl, whisk together flour, baking powder and salt until well mixed, then stir into butter, sugar egg mixture. 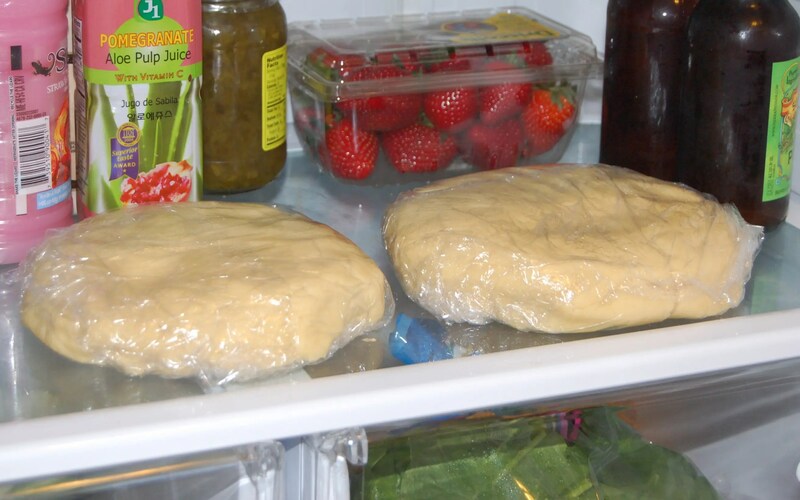 Divide the dough into two disks and chill for an hour. Preheat oven to 400f. 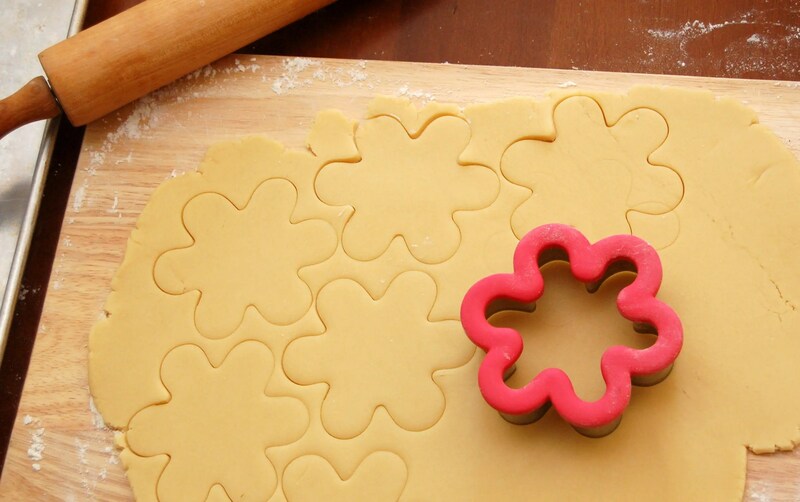 Roll out chilled dough on a floured surface, to about 1/4 inch thick and cut out shapes with cooking cutters. 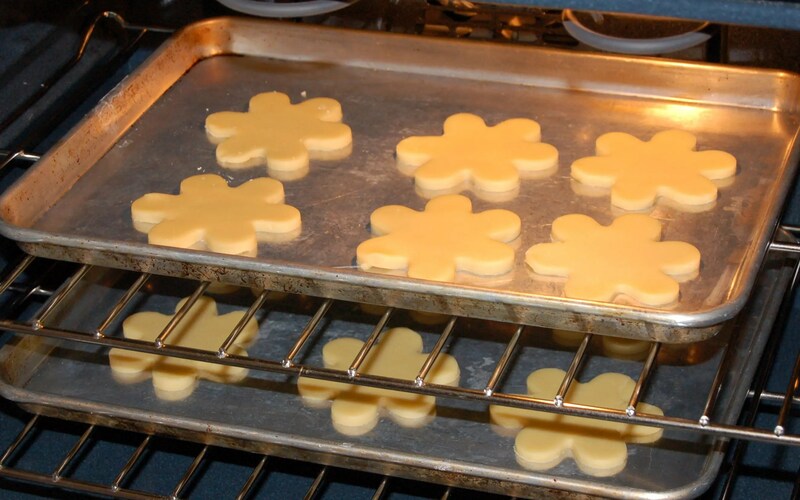 Place cookies on cookie sheets (no grease or butter needed). Bake about 8 minutes (this will depend on the thickness of your cookies) or until cookies are light brown on the bottom. Cool completely before icing the cookies.